Anyone else grow up watching Gidget movies? 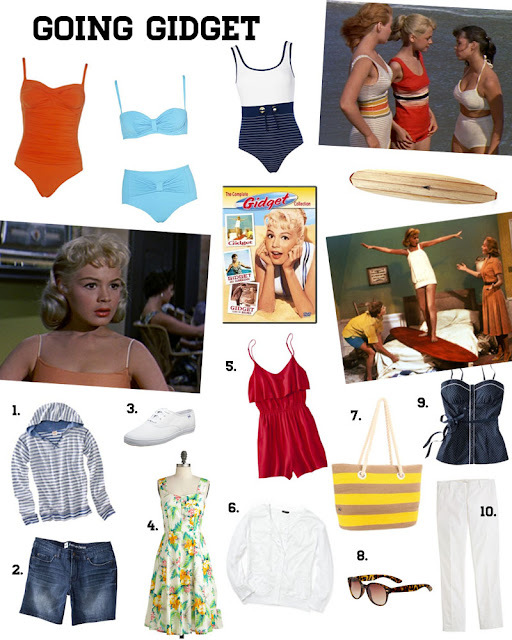 My sisters and I loved these movies but my favorite was the original Gidget, played by Sandra Dee. Definitely an all American girl! These movies are full of summer fun and lots of beach inspired looks too. Whether she was learning to surf or hanging out at the evening luau, "Gidge" was always sporting some cute attire. What's your favorite Gidget look? I love love love this movie...and love your today's finds for that movie!! I loved the Gidget movies growing up though I don't think I have ever seen the original with Sandra Dee so I need to go add this to my Netflix list. I just happened across your blog- it's too cute! Count me as your newest follower! I love Gidget - I finally had to retire my retro swimsuit after a few years, but it was my very favorite!